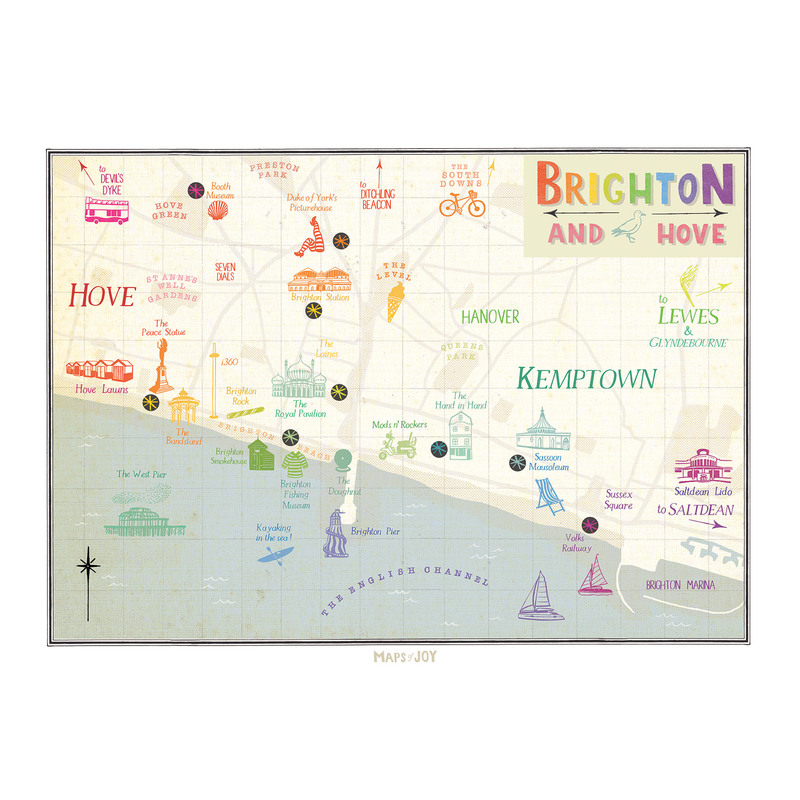 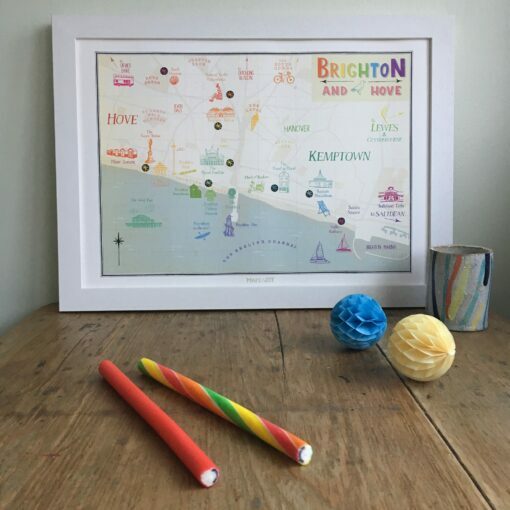 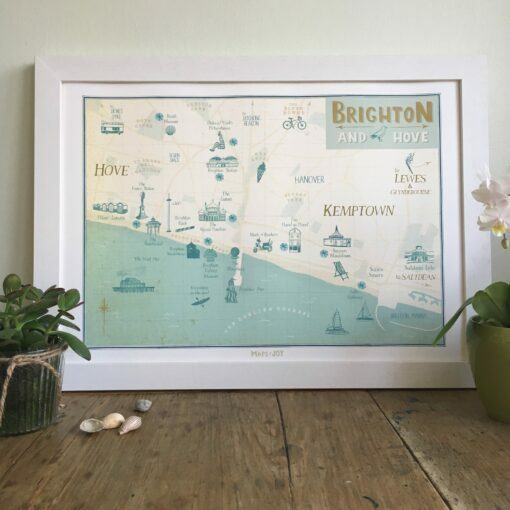 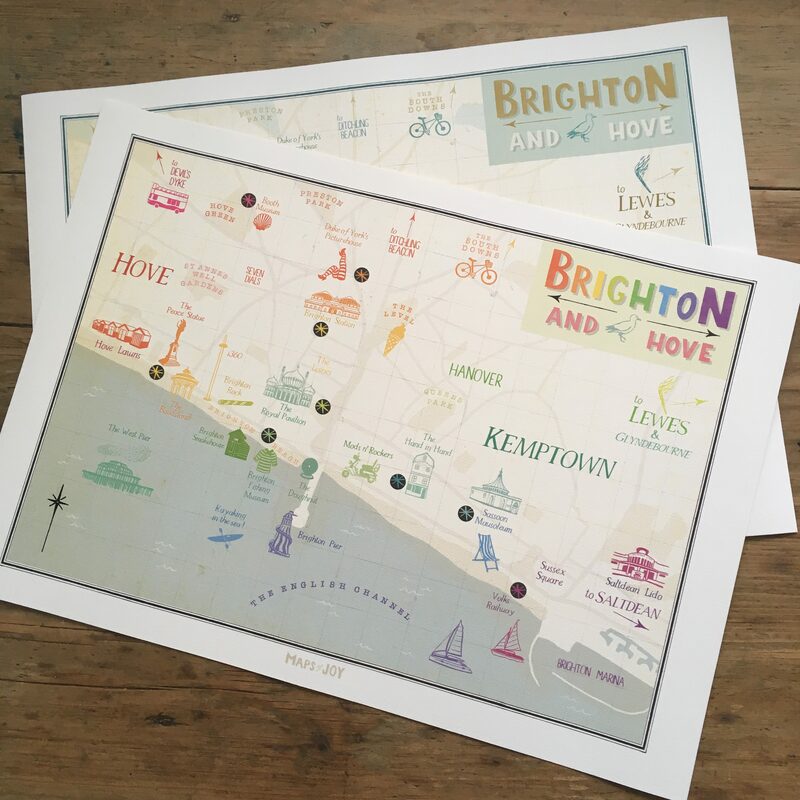 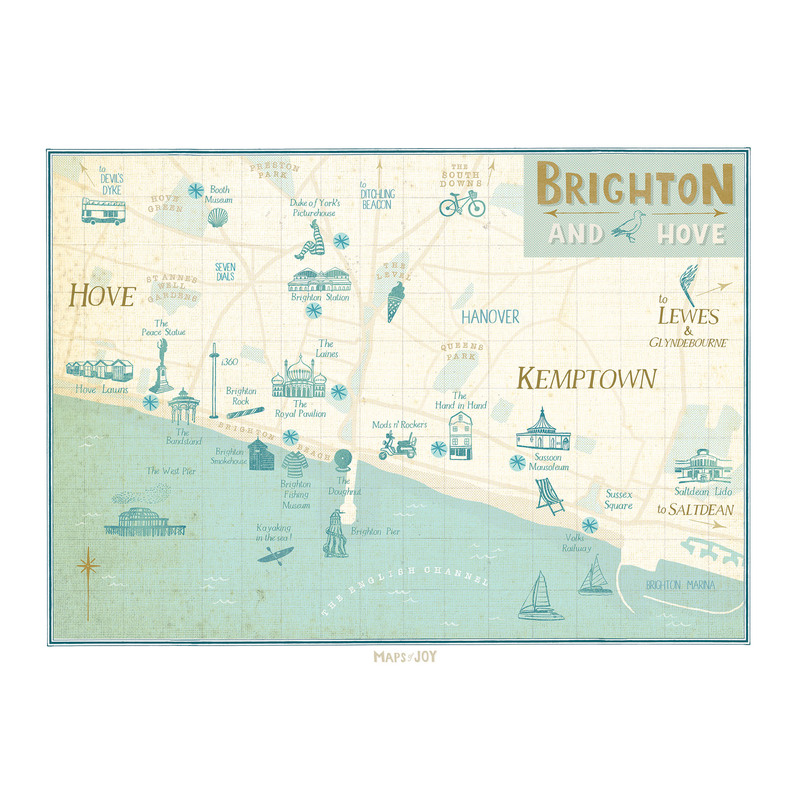 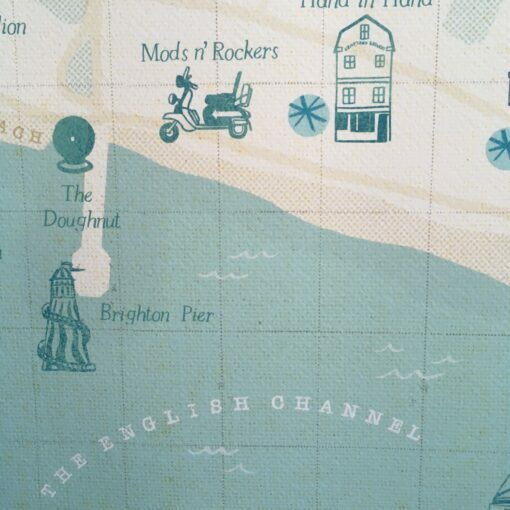 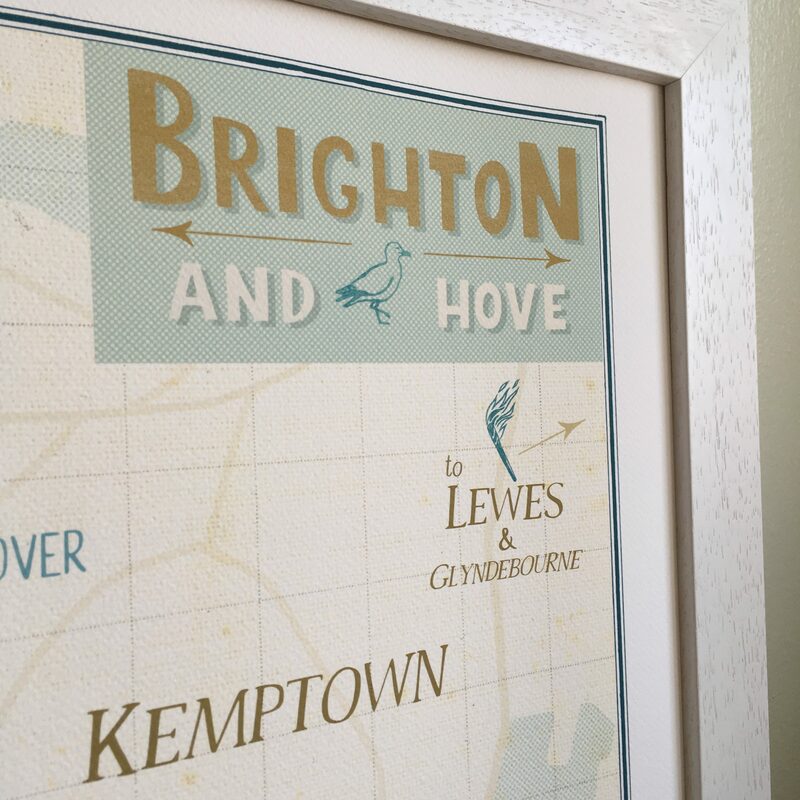 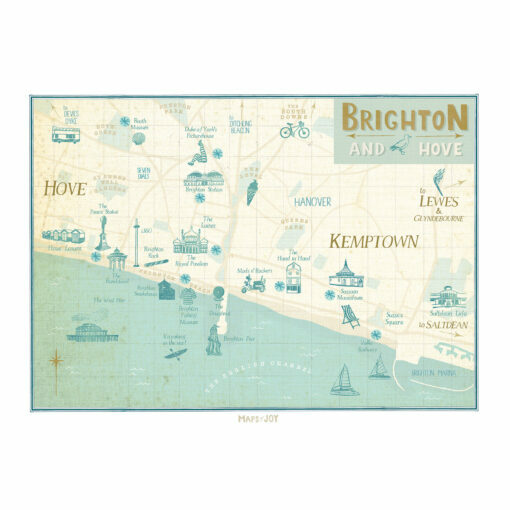 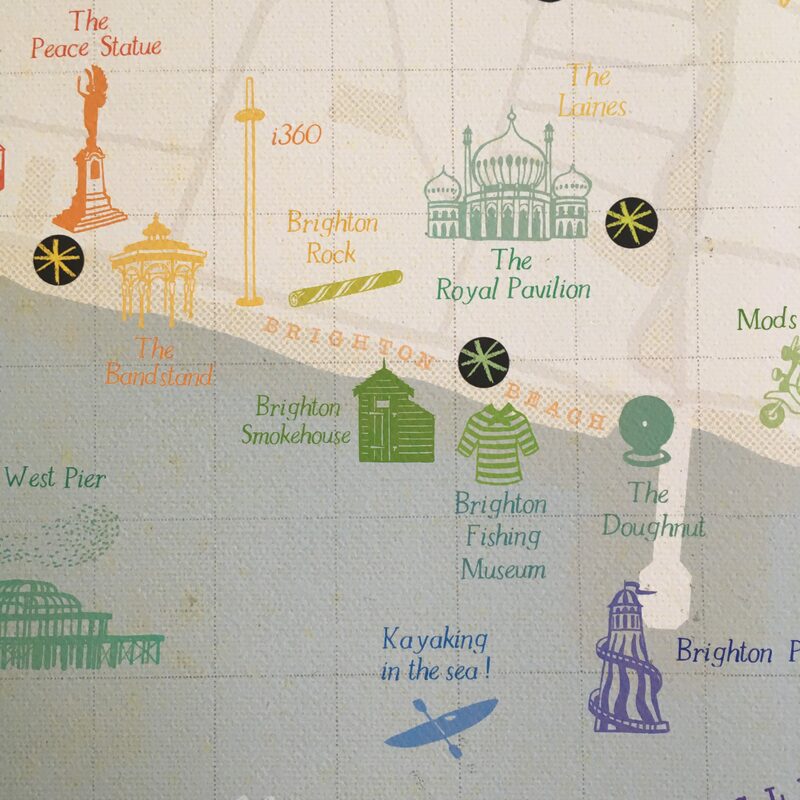 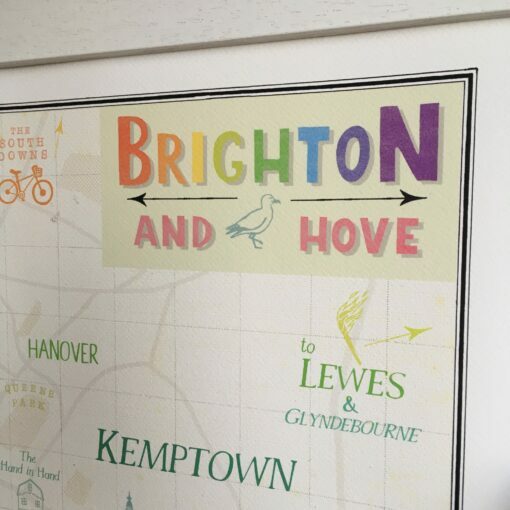 Brighton is the undisputed destination for beachy fun and frolics and I love it! With this print, you have the option to go all vibrant with the “Spectrum” colourway, or keep things sun-bleached and subtle with “Coast”…the choice is yours! 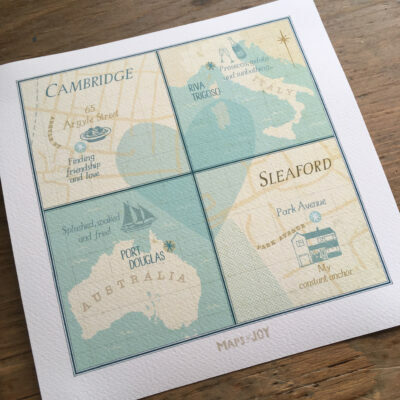 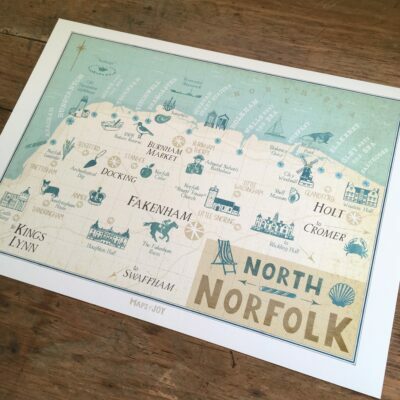 I will then email you a low resolution jpeg of your customisation to approve before I print your map.